The magazine cover to the left is an issue of Surface Fabrication that featured The Carpenter Shop in the lead article. At the time the Avonite New Cauldron was brand new and this was one of the first installations of the product and we were known as big supporters of the solid surface industry. Solid surface is the perfect countertop. Made from acrylic plastic and ATH which is an acronym for Alumia Trihydrate, a product refined from bauxite (aluminum ore) and widely used as a filler, fire retardant, as an antacid, even in medicines. 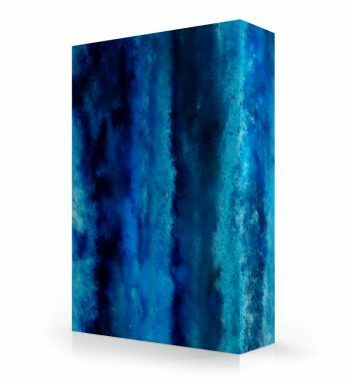 But over 90% of the ATH produced is refined into aluminum The ATH makes the acrylic stronger, harder, stiffer, and fire retardant and keeps the cost down. 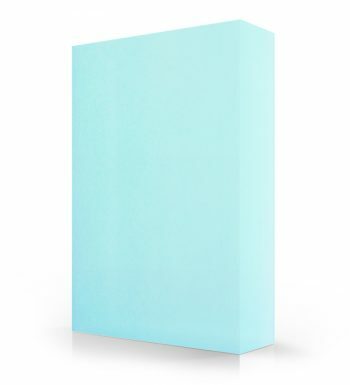 Solid surface generally comes in sheets that are 30″ wide x 144″ long x 1/2″ thick. A wooden template is made of the cabinet tops and laid out on the solid surface sheets to mark out the countertop sections, then cut to slight oversize, ends seamed where needed, built up edges added to the front and sides, and the sink is glued in and cooktop cutout added. The resulting top appears to be 1 1/2″ thick but under the built up edges is one inch of plywood, usually two layers of 1/2″ in 4″ wide strips designed to strengthen the top, bring the working surface up to 36″ tall on standard 34.5″ tall cabinets, and the strips provide some air movement for cooling should someone set a crock pot or other heat producing appliance on the countertop. The material is cut and sanded just like you would wood, using carbide tipped cutters. Special straightedges and routers are used to make nearly perfect seams that generally disappear once seemed together onsite and sanded down. The material is sanded down with finer and finer grits, even buffed with polishing compounds on certain types, so seams can be leveled perfectly smooth and any scratches or blemishes can be polished out or cut out and replaced using special router templates. 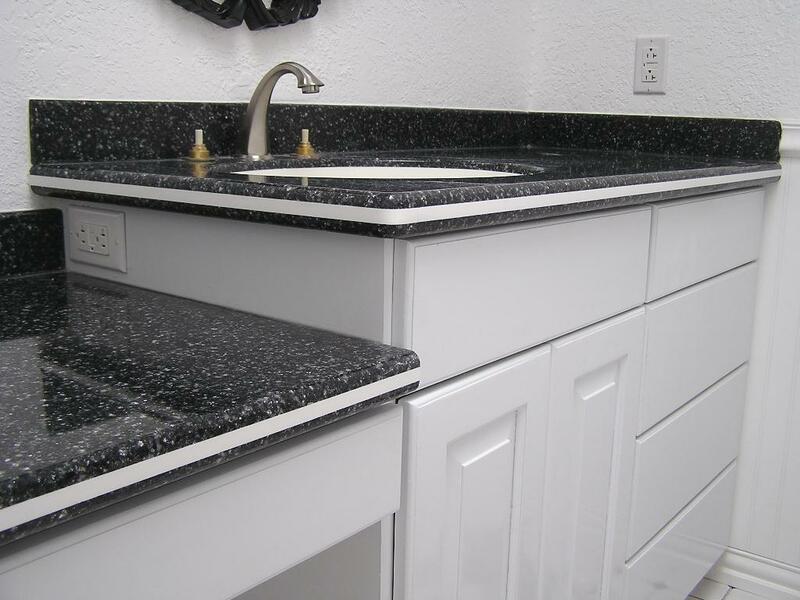 This ability to repair and re polish is what makes solid surface such a great countertop. Almost any damage can be repaired or the entire top can be take off, re cut, and re purposed into another size countertop. If a corner gets broken off or a bad seam was installed the top can be cut down, spliced to replace the missing material, and re seamed without anyone seeing evidence of the repair. That allows a solid surface fabricator to fix any installation problems and make customers happy without losing a fortune on materials. Any other kind of material that gets mismeasured or messed up is just trash to be thrown away. Solid surface countertops start at around $34.00 per square foot with the footage of materials needed, not the completed size of the top being used to measure. Since you can seam small pieces together you can stretch this material like no other to keep the footage down and the price reasonable. 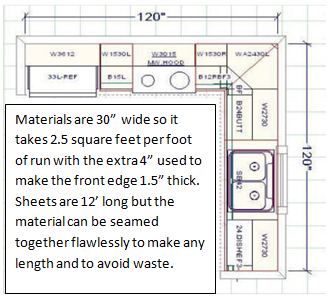 A standard kitchen countertop will have 2.5 square feet per foot of run as the raw sheets are 30″ wide. 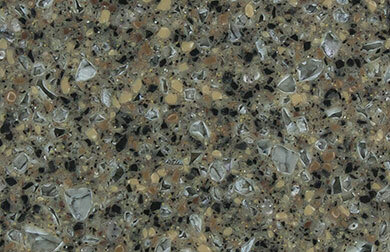 The excess is used for built up edge, seam blocks, or backsplash. On jobs that are slightly over a single sheet or two sheets on occasion we will have a half sheet or quarter sheet left over from a previous job that can be used for built up edges or for small parts of the job as long as the parts aren’t seamed to the new sheets. Solid surface sheets come in sequence, same sheets out of the same batch, so it is better to seam a multi part countertop using sheets from the same batch. On built up edges the sheets will match just fine, even as backsplashes or countertops that are a few feet away will look perfect. 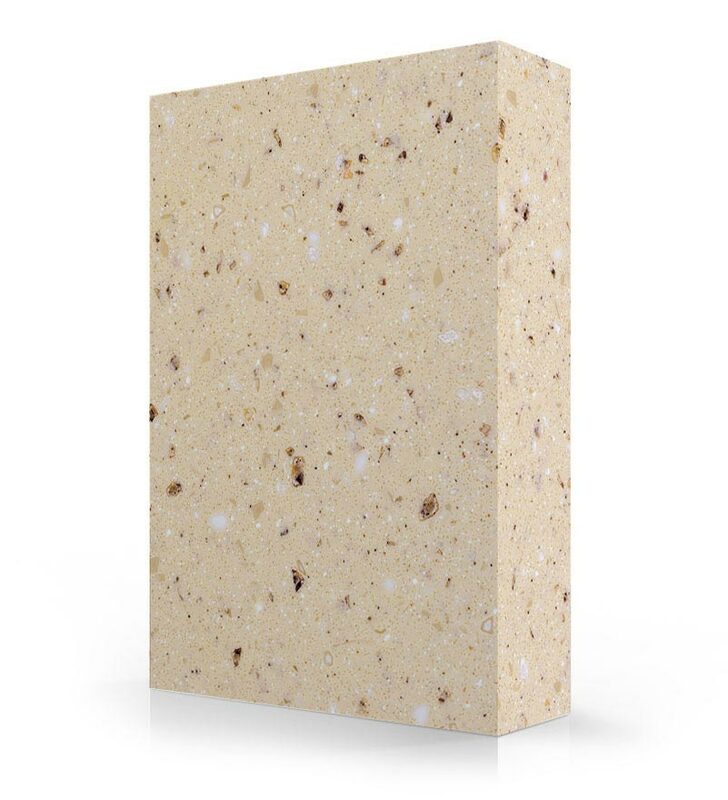 Solid surface has a NSF 51 rating from the National Sanitation Foundation, meaning you can legally and hygienically spill a pot of food on the countertop and scoop it back up for re use. It doesn’t harbor bacterial colonies like granite and has zero toxic heavy metals or uranium. 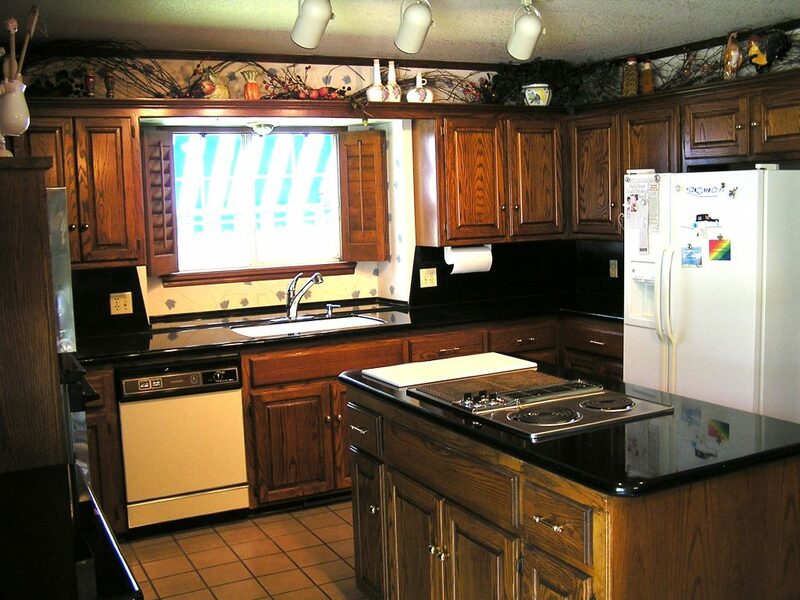 The resulting top can be easily and quickly re polished years later when you sell the home. We offer free scratch removal and maybe one call a year will come in to fix a scratch and we have been selling this product since 2002. 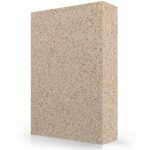 It weighs a fraction of what stone or quartz weighs so your cabinets don’t take a beating during installation and we can install much larger sections than other products. It is nearly impossible to stain under normal use. 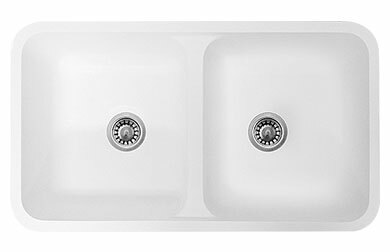 Sinks can get dirty but bleach will clean them up quickly, not stained, dirty. I personally have never seen a single stain on a solid surface top as the material is non porous. The sinks are glued in place using the same resin that the top and sink is made out of. 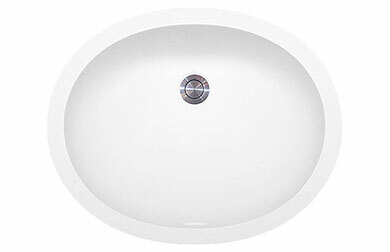 The sinks won’t fall out and since 2002 I have seen two bad sinks that needed repair and both were repaired under warranty, one was 9.5 years after it was installed by another company. 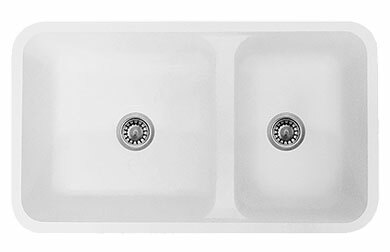 The junction of sink is smooth and seamless, just sweep the crumbs and debris off the countertop into the sink with a swipe of a rag. The materials are warranted for ten to fifteen years depending on brand, in comparison to the tailgate warranty from most granite and quartz fabricators. This couldn’t be done if they had problems and the industry prevents problems by certifying fabricators and installers, insisting that at least one employee has had factory training prior to allowing a company to purchase and fabricate solid surface. Warranty claims are rare, The Carpenter Shop serves as the warranty agent for several material companies and we haven’t been sent out on a claim in years. And when we were sent out the original fabricator would be required to fix any labor issues or lose their contract to fabricate the product. 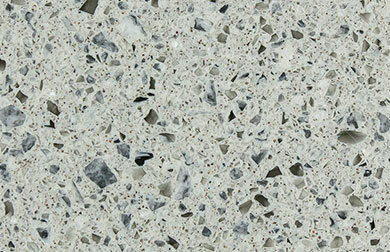 Solid surface is the lowest maintenance countertop out there. No need to worry about scratching it, no sealing, no seams peeling up, no edges falling off, just use the countertop and not worry about it. 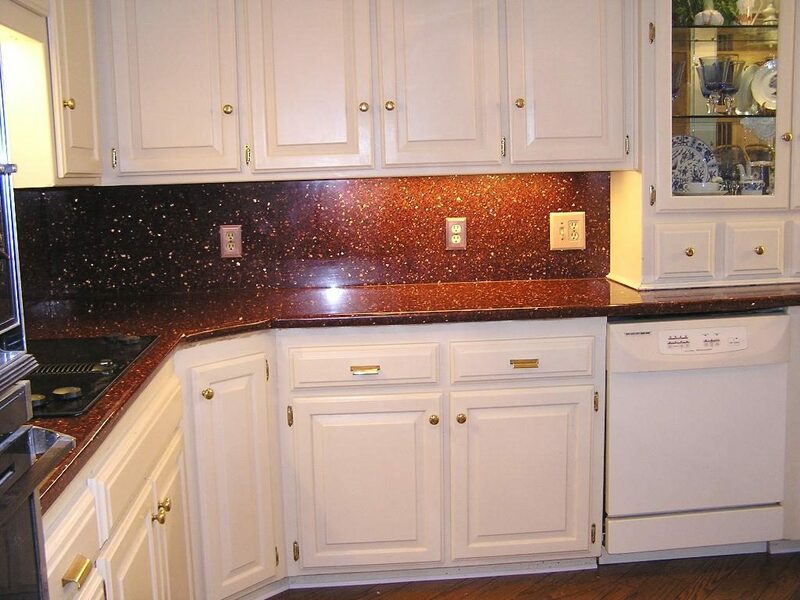 Heat can damage solid surface just like heat will damage quartz and natural stone countertops. Use a trivet if you are pulling a pot off the stove or out of the oven. Watch out for those short legged George Foreman grills and crock pots. Put a trivet under them or a 1/8″ silicone heat pad. 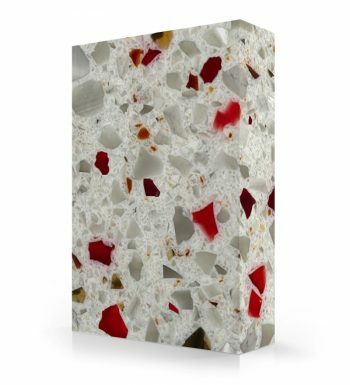 Solid surface can be heated up to 400 degrees and bent to produce curved parts so the heating does nothing more than create a small color change, it is the thermal shock of heating part of a countertop while the rest is cold that can potentially crack any sort of hard surface countertop. If you have ever broken a car windshield by pouring hot water on it to thaw out an iced over windshield that was thermal shock, a small part of the car windshield trying to expand while the rest of the car windshield can’t expand to keep up. Damage to a solid surface countertop is extremely rare but it has been known to happen in extreme cases where very large amounts of heat are pumped into a solid surface countertop by something like a crock pot or short legged George Foreman grill. These tops hold up well under normal use. Fabrication takes about one day per 30 square feet and installation is included in the price of the countertop as it is required to be installed by certified installers. Living Stone is the sample box we start people looking at first because they have fewer colors than some of the other companies but they have the most popular colors. And since they only sell what is popular that keeps their pricing down. No difference in quality, just fewer choices in this brand. They have the best price sinks too. These elements are arranged in rows and columns, which provide a useful structure, as well as a sense of balance within the overall composition. You can modify this structure using our intuitive drag and drop interface, which allows you to rearrange content to your heart’s content. doesn’t show the fingerprints or oil that River Moss shows. So go with a lighter color if you do choose a small particulate color..
. 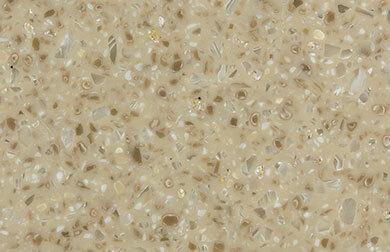 Lighter colors with large particulates in solid surface are wonderful for no maintenance kitchens. We have Avonite Jurassic in our kitchen & it’s wonderful. The large particulates fool the eye & make minor scratches or food debris inconspicuous. It’s not necessary to have to scrub your counter tops on a daily basis. I work long hours in the shop & the last thing I want to do when I get home is clean the kitchen before I cook. 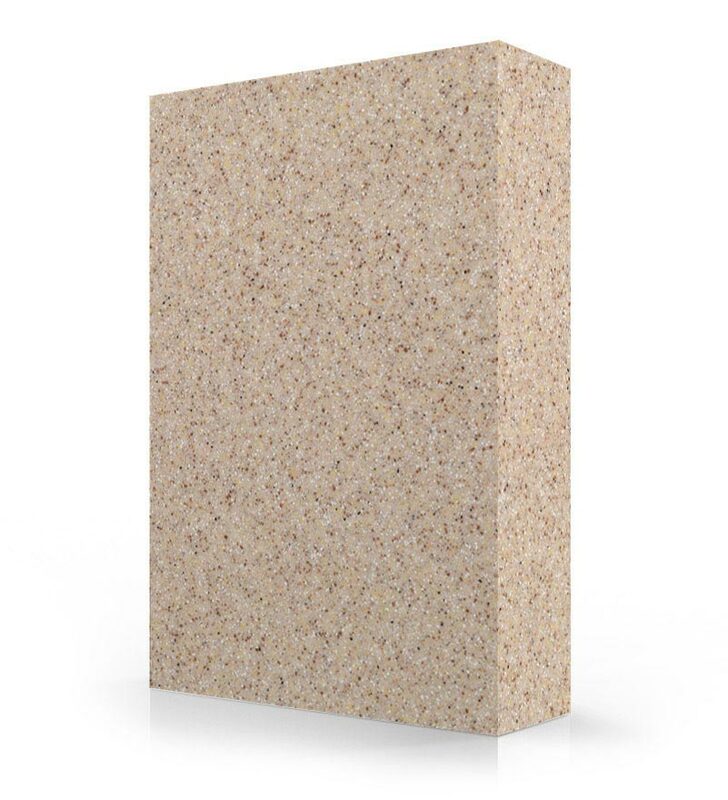 Since solid surface is a bit softer than quartz or granite, scratches do occur more frequently (they are always repairable) but on a lighter color its a rare problem. Really dark colors in solid surface are not recommended for heavy use areas especially in a high gloss which requires more maintenance & know how to repair. 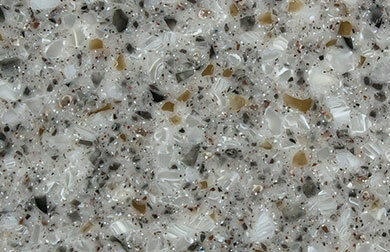 Also consider that quartz is comprised of polyester resin & quartz chips. 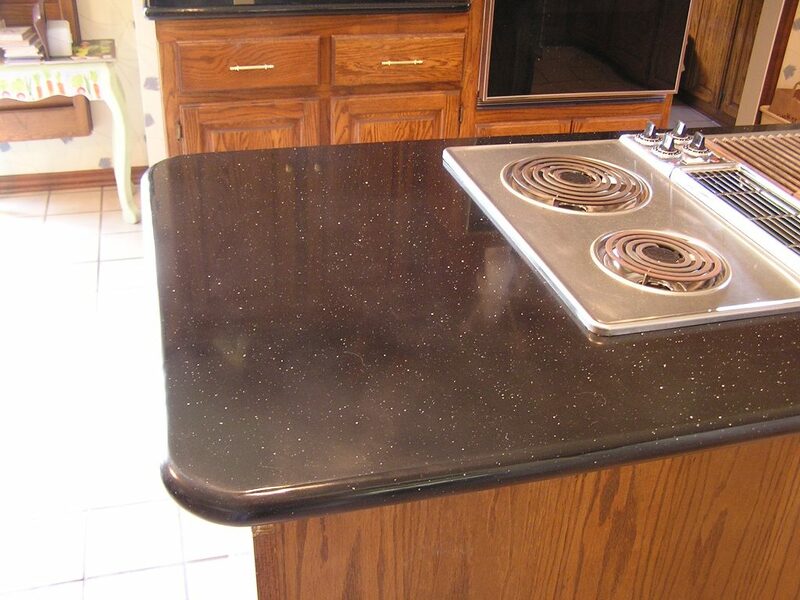 We know from experience that polyester resin is not UV stable which means that in a kitchen with lots of natural light, your quartz white counter top one day be yellow. Not all of the polyester solid surfaces are going to yellow with age. 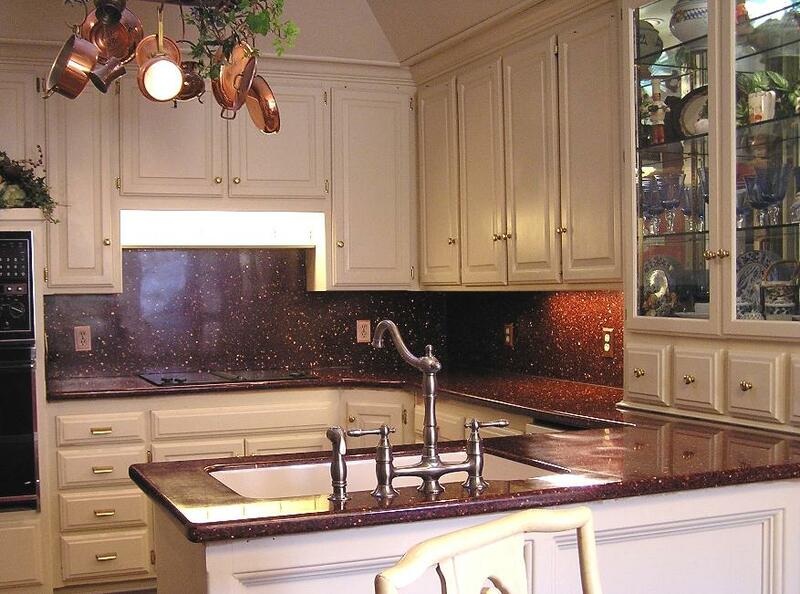 The darker colors do fine and polyester can be polished to a high gloss. High gloss is more maintenance, it will require re polishing on occasion but it is quick to do. An advantage of polyester is that small scratches will polish out with regular cleaning. We we talk about scratches these will be marks you can’t see from head on even close up but when the light is glancing off the top you can see the fine scratches. broiling pan without angling it or creating a mess on the counter top. 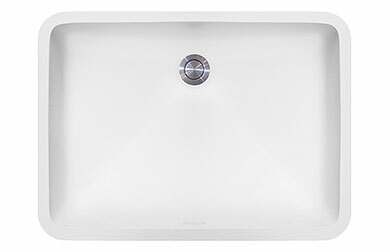 If you choose a stainless steel under mount sink choose one with a brushed texture rather than one with a polish. The highly polished stainless will show water spots more than the brushed texture. In our previous kitchen I had an inexpensive Home Depot drop in stainless sink that held up relatively well for several years. 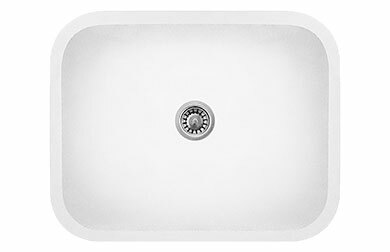 On the flip side, we installed an expensive special order undermount polished stainless steel sink for a customer and it looked dirty almost immediately. Sometimes the less expensive products made for the “everyman” hold up better than the most expensive products, go figure. Case in point, the Consumer Reports surveys of appliances usually show that the average priced appliances are less maintenance & easier to repair than the most expensive models.